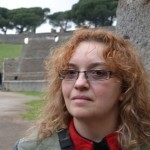 All concert photos on this page are by the author, sockii. 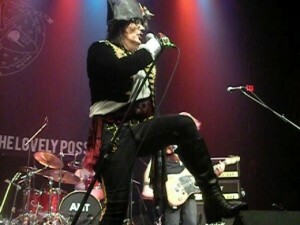 Adam Ant was easily one of the biggest – and most recognizable – musicians of the post-punk/new wave music scene of the 1980s. With his flamboyant costumes, elaborate music videos and catchy, unique songs, he filled radio airwaves and MTV with “Antmusic” both during his years leading Adam & The Ants and then as a solo artist. Yet it has been 17 years since Adam Ant has toured the United States and released a new album, his last being 1995’s Wonderful. Personal issues, including an ongoing battle with bipolar disorder, have kept him largely out of the music world and spotlight since then. 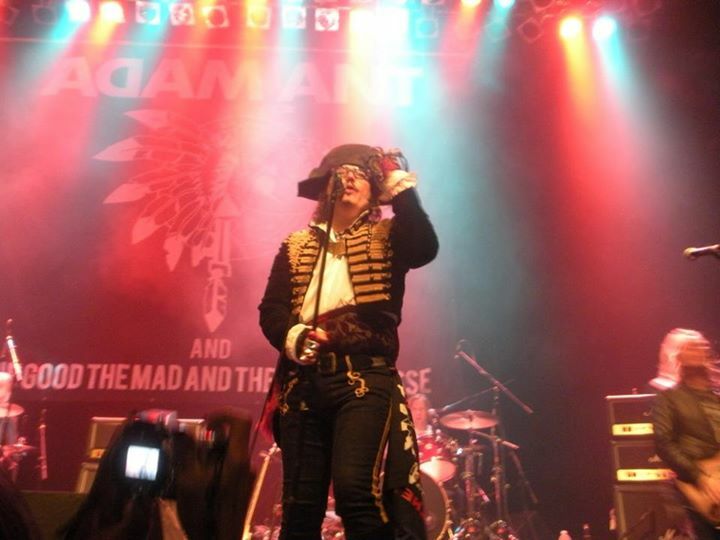 So when Adam announced a new tour for 2012 in support of his upcoming album Adam Ant is the Blueblack Hussar in Marrying the Gunner’s Daughter, there was no way I was going to miss the opportunity to see him perform live. He was one of my favorite musicians of the 80s and I’d never seen him in concert before – and who knew when he might tour through the States again? Despite not being able to make any local shows in my immediate area, I took the 5-hour road trip to Norfolk, Virginia to see him at the NorVa theater – and I’m so glad that I did. The concert was easily one of the most memorable of my entire concert-going lifetime, with Adam in top form and energy while ripping through a lengthy set of favorites from throughout his musical career. The 5-hour drive from South Jersey to Virginia got me to Norfolk with just enough time to check into my hotel and walk over to the venue by about 5:30pm. This was great timing as I had time to grab dinner at The Jewish Mother – Backstage, a rock club/restaurant connected to The NorVa. They have a handy policy for music lovers where if you spend $10 or more on food before a show, you get early admittance to the floor at least 15 minutes in advance of the general public – perfect for staking out a spot right up by the stage, or a prime table along the upper balcony. Showtime was listed to start at 8pm, and soon thereafter the opening band, Brothers of Brazil, hit the stage. These guys were great, really getting the audience energized and dancing along to their novel music which I can only describe as a sort of acoustic-punk-bossa nova. Supla and Joao (two brothers who actually, yes, are from Brazil) rocked the house on just guitar and drums and were a fun contrast in style and appearance. Joao gives off a suave 50s rockabilly vibe while Supla looks (and performs) rather like the love child of Sid Vicious and Stewart Copeland. Yes, I really dug them and made sure to get their two CDs after the show, which have been in constant rotation in my car stereo since then. 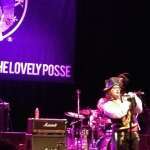 There was a very quick changeover after their set and it was just about 9:10pm when Adam Ant’s band hit the stage. His current backing band, The Good, The Mad and The Lovely Possee consists of two drummers, a guitarist, bass player and backing vocalist. But all attention was on Adam as he appeared at last in full regalia: feathered pirate hat, striped trousers and knee-high boots, fancy jacket, pirate shirt, rings and necklaces, bandanas and red lace. If his figure is not quite as slim today at 57 as it was thirty years ago, he seemed to show no self-consciousness about it – nor did many of us screaming women in the audience seem to care. Who doesn’t like a man who can rock the love handles? His previous face paint is largely now replaced by tattoos up and down his arms, and a pair of glasses seems to be his one nod to advancing age. It was an ensemble which could have looked foolish and probably would have on nearly anyone else, perhaps outside of a steampunk or fantasy convention. 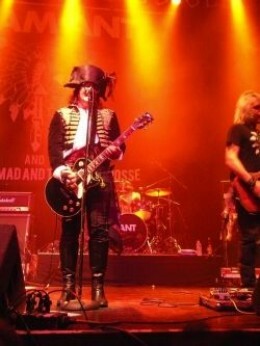 But Adam Ant soon put to rest any reason for joking by rocking it harder than perhaps ever before. Indeed, as soon as the band launched into the opening notes of 1977’s “Plastic Surgery”, it was clear that Adam Ant meant business. This was going to be no silly pop “nostalgia” show. 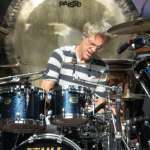 With double drum kits thundering and Adam commanding the stage with both menace and playfulness, he brought an urgency to this and other early punk songs from his career that made them sound completely fresh and relevant today. His voice was in great shape and he had the entire audience echoing his trademark yodeling vocals on crowd pleasing favorites like “Beat My Guest” and “Kick”. 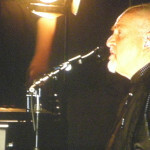 The energy rarely let up for the nearly 2-hour performance of 28 songs covering just about his entire recording career. Of course big hits like “Stand and Deliver”, “Strip” and “Goody Two Shoes” were all there, but plenty of lesser known tracks were performed as well to fans’ delight, including “Fat Fun” and “Lady/Catch A Falling Star”. One new track was performed from his upcoming 2013 album, “Vince Taylor”, a tribute to the legendary British rocker whom David Bowie credits as the inspiration for Ziggy Stardust and certainly left an impression on all who followed in the glamrock genre. It certainly got me excited to hear the rest of the album as it sounds like a return to Adam’s more rocking/punk roots than his later solo albums. 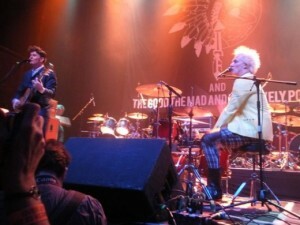 Adam doesn’t interact a great deal with the audience – nor even his own band members – while on stage, but that does not make the performance any less engaging. It is more that he appears so deep into the music, its world, his character that everything else is rather secondary. He did introduce “Kings of the Wild Frontier” as a song that means a lot to him every time he sings it, and it was certainly an audience favorite as well (bearing his chest partway through the song by tearing open his t-shirt didn’t hurt). But the entire audience sang along to the chant of “We are the family!”, much as they joined in for the equally affirming it’s-ok-to-be-yourself lyrics of a stripped down version of “Prince Charming”. “Ridicule is nothing to be scared of…” he assured us, and its a message that came through loud and clear throughout the entire set. It’s interesting to note, after the show I was discussing Adam’s current tour with a fellow fan who’d seen him earlier in Europe at a festival and been equally impressed by the show. She noted with some amusement that when she’d seen him in concert, many of the younger audience members left after a few songs in confusion because they thought Adam was “too weird” for them. They might have shown up expecting light and flully 80s pop and instead got songs like “Whip In My Valise”. 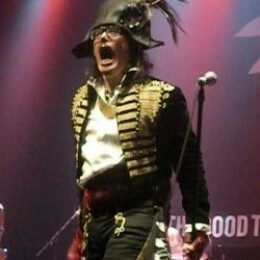 In a way it seems to point out how subversive and unique Adam Ant’s music still is today, even (or perhaps especially) to a generation that seems to think bands like My Chemical Romance or Panic! at the Disco are in any way “alternative” music. I honestly find it difficult to put into words how much this concert inspired and affected me. At first there was simply the rush and disbelief that I was there, just a few feet away from one of the musical “heroes” of my youth whom I’d never thought I’d ever get the chance to see perform live. The only other time I can remember feeling that same sort of elation at a show was when I was there for The Police’s reunion tour announcement performance in 2007 at the Whiskey A Go-Go. But my heroes have always been misfits, the “weird ones”, the often-troubled artists or oddball characters who embrace what make them different and encourage others to do the same: to be fearless in who they are, never to “lower yourself, forgetting all your standards”. That’s a great deal of what Adam Ant’s music means to me, and to see him still being so good, so mad, and yes, so lovely today after all of these years was just a joy to witness and in a way – and an almost personal affirmation of who I am.